Today my husband took down my clothes line for the winter. I will restart hanging clothes out again in the spring. It reminded me of a picture I had taken a few months ago. 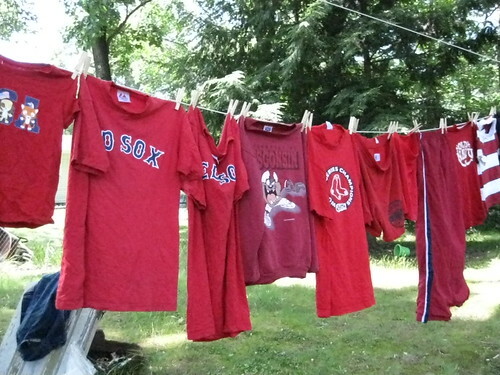 When I was hanging up a load of our clothes, I noticed how many red articles of clothing we had. I love the fresh smell of clothes dried on the line! Reminds me of being a kid and running in and out of the hanging laundry.